Immediate payment of US $1,424.37 is required. I like it, the price is litter higher. Very pleased with purchase... Highly recommended! FAST SHIPPING! 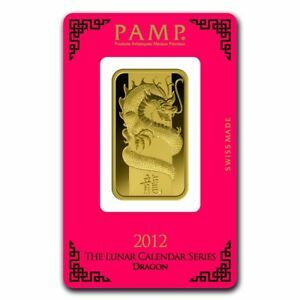 A beautiful product from Pamp Suisse, but keep in mind, these are STILL being produced even though the year says 2012. This is not a one year, limited production item like most dated gold and silver products. Buy it for its intrinsic value and beauty.